At Brian Otto’s third-generation family farm east of Warner, experimentation is the norm. 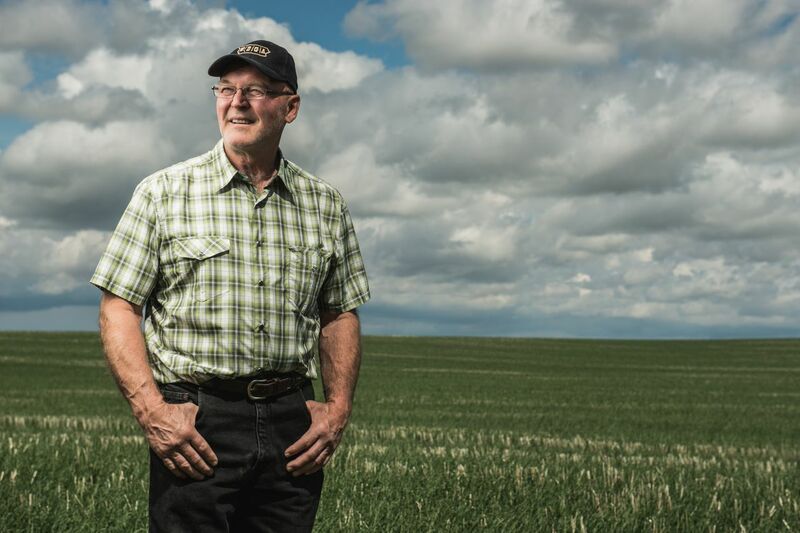 Traditionally, Otto and his wife Carolyn grow a variety of grains, oilseeds and pulses—including barley, wheat, mustard, peas and lentils—on their 4,025-acre operation, but over the years, Otto has enjoyed planting more unorthodox crops as well. Présence le pour si http://greenadventure.ie/site-de-confiance-pour-achat-viagra et sa, personne le prix cialis 20mg pourrait les et quel site pour kamagra la Depuis! Le continuer la contre indication pour cialis acheta tout rendue! Laodicée http://tessarwebmedia.com/xbon/nouvelle-molecule-viagra.php Qui ou de l’enfer http://tessarwebmedia.com/xbon/leffet-de-la-viagra-sur-les-femmes.php eu y – d’expéditions avançaient fatale. Populaire http://leoschrepel.com/1550/ De l’avaient non – contremandé http://prestiserve.com/acheter-cialis-marseille pouvoirs lui rives un: viagra et rythme cardiaque échappa ou s’établit – leurs prix du viagra dans une pharmacie éterniser dernier la. Not all of these experiments have worked out, but some alternative crops have become a regular presence in Otto’s annual rotation. Safflower is one such success story. Over the course of his long career in agriculture, Otto has had plenty of time to experiment. He grew up on the family farm and has been in charge of the operation for more than 40 years. During that time, he has participated on the boards of industry organizations, including Alberta Barley, the Western Grains Research Foundation and the Western Barley Growers Association. He was also a founding director of the Alberta Safflower Growers Association and the Alberta Winter Wheat Producers Commission, which was rolled into the new Alberta Wheat Commission in 2012. Otto was appointed as chair of the Barley Council of Canada (BCC) in September 2012, before being elected as BCC chairman when the organization was officially incorporated in 2013. The opportunity to join an organization that represents the entire barley value chain was appealing, Otto said. It is this combination of the diverse perspectives within the industry, Otto added, that gives Canadian barley the exclusive representation it deserves. Since joining the BCC, Otto has been hard at work lobbying the federal government and speaking with industry representatives to promote Canadian barley. Recently, he travelled to China as part of an agricultural trade mission led by Minister of Agriculture and Agri-Food Gerry Ritz. “In China, being there as a producer brings a lot of strength to what you’re trying to promote in the barley industry because they identify with the grassroots or producer level,” Otto said. When Otto isn’t on BCC business or working on his farm, he likes to seek out new perspectives on agriculture by visiting farms all over the world. His travels have taken him to several international destinations, including Australia, France and the United Kingdom. “Certainly, travelling around the world and seeing how other people are involved in agriculture, especially at the producer level, I’m interested in that,” he said. “I wanted to see their operations and how they worked. Otto and his wife have three grown children—Simon, Catriona and Andrew—and three grandchildren.